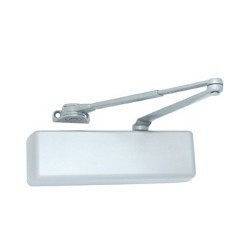 A door closer is a mechanical device that closes the door after it is opened. 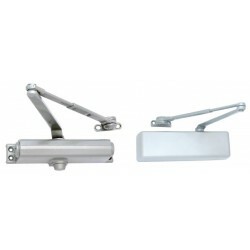 Some door closers allow you to adjust the strength or speed of the door closer, as well as the back check, this prevents the door from being opened or closed too fast and causing damage to the door. Door Closers There are 3 products. 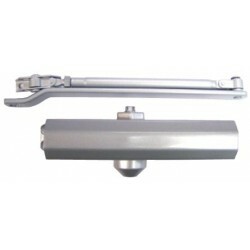 The LSDA Door Closers are specifically designed for high traffic situations. They can be installed on aluminum storefront doors, interior wood, and hollow metal doors. Many sizes, features, and styles are available depending on the application. The LCN Door Closers offer maximum versatility and can be used for both commercial and institutional applications. They are adjustable from size 1 to 6. Many sizes, features, and styles are available depending on the application.